Madam Afia Asantewaa, mother of hiplife artiste Omahana Pozo who is currently on admission at the Neuro Surgical Ward of the 37 Military Hospital has pleaded with the public to come to his aid to enable him undergo a successful brain surgery. Speaking to Christian Agyei Frimpong on Onua FM in Accra, she said on several occasions that “I need help”. According to her, Omanhene Pozo is in his bad state. 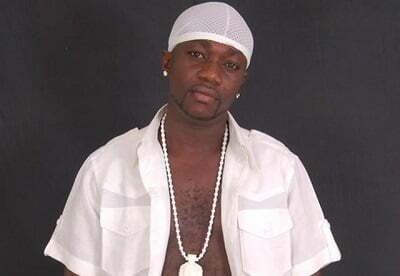 She continued that family of the once vibrant hiplife artiste have tried to raise funds but it is not enough for his operation estimated to cost Gh30,000. Madam Asantewaa added that doctors are requesting an amount of Gh10,000 before first operation on Monday, April 18. Last week, the Ghana Music Rights Organisation (GHAMRO) visited and presented him with an undisclosed amount of money to support him. GHAMRO administrator, Agya Abraham and First Vice Chairman of the association, Ahmed Banda aka Bandex last week presented the money to Sidney, who was also a member of Nananom.